Christopher Tidball is an author, speaker, consultant and recognized authority on insurance claims processes, workflow, and best practices. He has been featured in numerous publications and at many trade shows and media events. Professionally, he has extensive experience as an insurance claims executive and is a recognized expert on insurance fraud. He has testified in both state and federal court on insurance related matters. As an author, he brings the gritty, sometimes slick, world of insurance fraud to the fore, educating fellow industry professionals and laymen alike on the billions of dollars of abuse by individuals, crooks and cartels. He is available for speaking engagements at insurance industry trade events and executive workshops, organizational meetings and book signings of his latest release. Contact 904. 742. 9031 or e-mail chris@christidball.com. 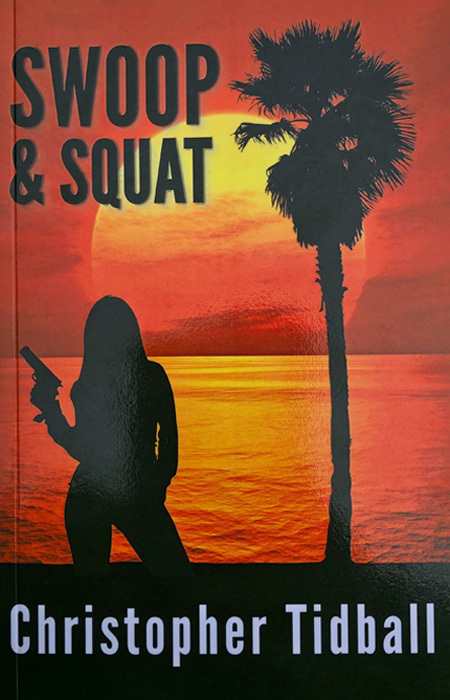 Swoop & Squat is the latest book from author Christopher Tidball. This is his first work of fiction and is already garnering outstanding editorial reviews. After discovering a dead body in a burned van, insurance claims investigator Jake McFarland is soon swept up in a web of intrigue that reaches the highest levels of Washington, D.C. Readers will be sitting on the edge of their chair during the chase of the century as Jake and beautiful F.B.I. agent Carolyn Newsome bring down corrupt politicians, a Mexican drug cartel and a terrorist organization. It is the ultimate race against time, as a double-crossed drug cartel kingpin gets his hands on a nuclear weapon that could destroy Los Angeles at the height of rush hour. A burned body is a van that was linked to the execution of a California woman who scammed car insurers were clues that led the FBI and Los Angeles insurance investigator to a Jacksonville warehouse full of heroin an assault weapons. The case, all fiction, is true only in that it’s creator is a Jacksonville author and former fraud investigator whose novel “Swoop & Squat” spotlights faked cars crashes and bogus injuries that in the real world cost millions to companies and consumers. The number of those cases skyrocketed in Northeast Florida in recent years before laws were passed to curb the crime. 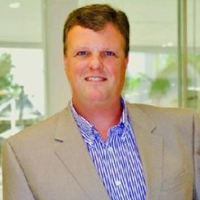 Chris Tidball provides individuals and businesses with innovative solutions for creating new revenue streams, maximizing profitability and ensuring financial security. Learn the proven secrets to success as featured in Career Builder, Yahoo Finance and MSNBC which can generate new revenue streams and income even during the most difficult economic times! Not a day goes by without more news of massive layoffs, downsizing, consolidation or the outsourcing of jobs overseas. Perhaps you have been personally impacted. Perhaps you have a spouse, relative, friend or neighbor who has been impacted; literally kicked to the curb. With more than 16 million people currently out of work and the highest unemployment rate in 26 years, the reality is that everyone who depends on someone signing their paycheck is at risk. Double digit unemployment and underemployment are taking a toll on our society with no end in sight. As the recession continues, even those with jobs are at risk. With the current economic uncertainty, increasing taxation and regulations, job searches are proving futile as companies are putting off hiring until they have a better handle on the direction of our nation. The future landscape of employment in America will be forever changed once hiring resumes with less full time employees and more independent contractors that will enable companies to get around many new regulations and mandates. Now is the time to take advantage of this new direction in America. Whether you are busy job searching, need assistance in developing your resume, developing a business plan, finding a part time job or starting a small business, we are here to help. Learn from author Chris Tidball the steps that he took in the wake of the Wall Street meltdown to find financial independence and freedom. 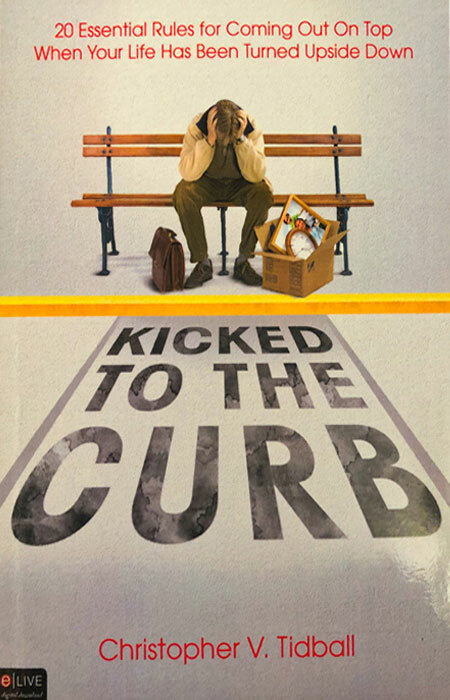 In Kicked To The Curb, The Secret meets The Power Of Positive Thinking. The twenty rules laid out in this provocative book can help you achieve success and financial independence, just as it helped the author identify multiple streams of income. Order a signed copy safely and securely through PayPal, the fastest, safest and easiest way for secure internet purchases. Effectively managing a claims organization can be a daunting challenge! From developing staff and following procedures to pleasing customers and avoiding litigation true success takes an inordinate amount of skill, savvy and patience. 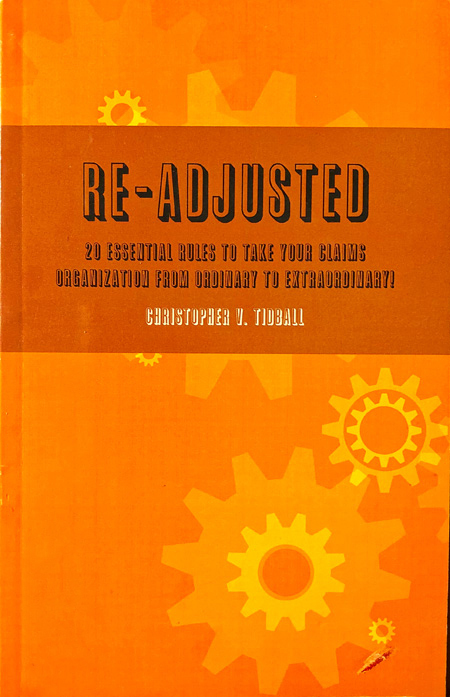 In Re-Adjusted, Christopher Tidball shares his proven formula for taking claims organizations from ordinary to extraordinary. By focusing on the fundamentals that he has effectively used for more than twenty years, insurance carriers now have a roadmap for success. Readers are sure to enjoy the latest in his “20 Essential Rules” series that is guaranteed to lift spirits as well as bottom line results. For anyone looking t! o improve customer service, employee morale, productivity, quality or internal processes, Re-Adjusted is a must read! Christopher Tidball spent more than twenty years in various claims, process and executive roles with multiple leading insurance carriers, developing innovative solutions guaranteed to improve your bottom line. COMING SOON: Deep State, the latest thriller and sequel to Swoop & Squat.